Randy Breault was appointed to the Board of Directors of the Bay Area Water Supply and Conservation Agency (BAWSCA) by the Guadalupe Valley Municipal Improvement District (GVMID). The district provides water to an industrial park development within the Brisbane city limits, and to a small residential enclave. Mr. Breault is the Public Works Director/City Engineer for the City of Brisbane, where he oversees the water systems of two BAWSCA member agencies; the City of Brisbane and GVMID. He also serves as the city’s Director of the Office of Emergency Services. Mr. Breault was Chair of the BAWSCA Board of Directors in 2015 and 2016. 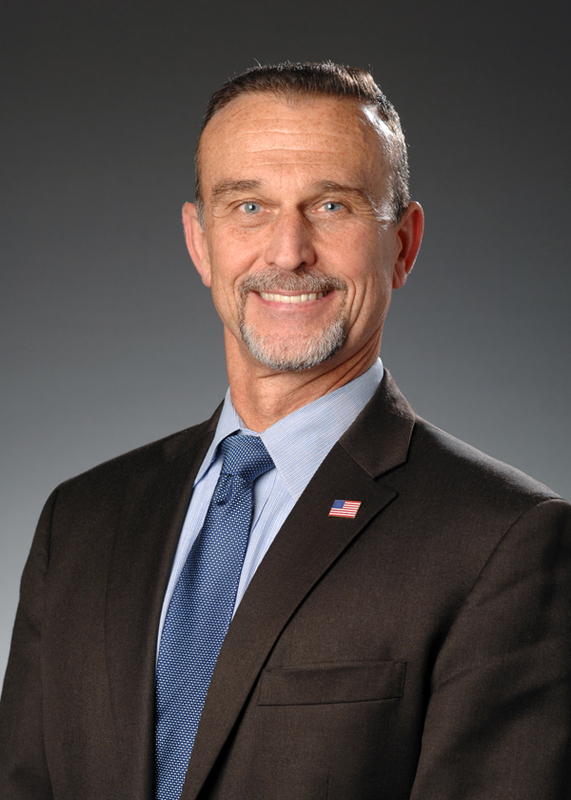 He has served as an appointed Director on the BAWSCA and San Francisco Bay Area Regional Water System Financing Authority (RFA) continuously since 2003. He was assigned to the BAWSCA Board Policy Committee in 2011, and in 2013 was elected Vice-Chair for BAWSCA and RFA. Mr. Breault was the 2007 President of the San Mateo County City/County Engineers’ Association, and was the 2000 President of the Ventura County APWA Chapter. In 2006 he was appointed to the Congestion Management Program Technical Advisory Committee of the City/County Association of Governments of San Mateo County (C/CAG). In 2013 he was appointed to and elected Chair of the C/CAG Stormwater Committee. He is an active member of the California League of Cities; with service on various Policy Committees since 2007, as the 2011-2012 President of the League’s Public Works Officers Department, and on the League’s Board of Directors from 2014-2017. Mr. Breault is a Registered Civil Engineer in the State of California, a LEED accredited professional, and is designated a “Public Works Leadership Fellow”, the highest level of mentorship awarded by the American Public Works Association. He holds a M.S. degree in Civil Engineering from Loyola Marymount University and a B.S. degree from the United States Air Force Academy. He served in the United States Marine Corps for twenty-four years on active and reserve duty, retiring in 2005 with the rank of Lieutenant Colonel.